Charles Price is an Associate Professor in the Department of Anthropology at the University of North Carolina, Chapel Hill. Charles’s research, writing and activity focus on Black identity, Rastafari identity, life narrative genres, action research, community organizations and community organizing, people-centered community development, and social movements, with a geographic concentration on the United States and Jamaica. 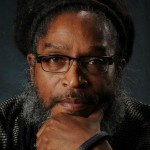 Charles authored the book Becoming Rasta: The Origins of Rastafari Identity in Jamaica (2009, New York University Press), co-authored the monograph Community Collaborations: Promoting Community Organizing (2009, Ford Foundation), and is under contract with NYU Press to write a sequel to Becoming Rasta. The sequel, Rasta: The Evolutions of a People and Their Identity, uses the conceptual frames of ethnogenesis and collective identity formation to illustrate the development of the Rastafari people of Jamaica between the 1930s and 2000s. Rasta reflects Charles’ effort to develop a historically-grounded qualitative approach to collective identity formation. Also, Charles and Anthropologist Dorothy Holland are collaborating on The Black Men’s Knowledge Project, an action-oriented study of how Black men in North Carolina and Connecticut negotiate challenges and obstacles in their lives as well as how they develop resilience. 1996 M.Phil. CUNY Graduate School. Major: Anthropology. 1991 M.A. University of South Florida, Tampa, FL. Applied Anthropology. 1987 B.S. College of Charleston, Charleston, S.C. Major: Sociology. Introduction to General Anthropology (Anth 101). An Introduction to Anthropology and its four sub-disciplines with an emphasis on evolution, race, and similarity and difference. Anthropology & Community Development (Anth 194). A survey of community development pitched from the standpoint of “people-centered” community development. Action Research (Anth 240). A class-room based venture into the intricacies of action research focused on relationship and team-building, problem-solving, leadership development, research, and communicating research findings. Ethnography & Life Stories (Anth 625). An introduction to the theory and methods of doing ethnographically-informed life narrative research. The course requires that each student complete their own life narrative project. Writing Lives: Life Narratives & Qualitative Research (ANTH 898). A graduate seminar designed to facilitate the development of students’ fundamental qualitative research abilities through a series of assignments and tasks that culminate in a polished life narrative.